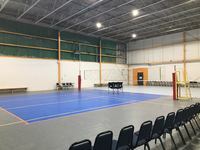 We are the leading group for organized adult pickup volleyball in the Philadelphia area. 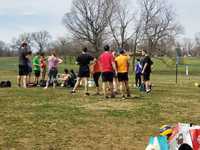 We are member-supported, led by volunteers, and organize in neighborhoods and parks all around the city. • an "outdoor volleyball" sport card for beach/grass invites. Great event! Thanks Shannon,Dan, Crystal,LPS, and everyone involved. Awesome job organizing this event,as always Crystal. Most of the players are fun and encouraging to others. Some take it a little too serious. Had a great event! Shannon, you rock! Great !!!! Congratulations to the organization team!!!! I had a great time, I would definitely go back! Great play tonight as usual! Great night of volleyball with a fun group. Well organized by Crystal. Thank you for the great space and amazing play! Thanks for being so welcoming and fun! Crystal does a great job organizing events and communicates well with participants. Great games all night long! 10/10 would do it again. Thanks! Cool people and high caliber games! Great play, high level! Was fun! Very nice game and competitive one! All the guys were friendly. It had been a while since I had played and I hold the game. Sorry guys! Anyway, great place and great game! Great turnout and great matches overall. Great organized event! Thanks for having us! The hostess was aggressive and acted like a queen...and posed a video of me shanking a pass without permission. The other players were cool though. Don't be fooled by all my money, I still like to eat tacos, honey. So crunchy on the outside, so super good and yummy. Great event. Perfect turnout for two teams. The host was very patient and didn't mind being the setter during hitting lines. Hitting lines were fun! Great event! Low turn out but really great play! Less people actually meant more play and less sitting! good place to pkay for the specified level. good warm up tonite! Great event today! Great players! Great players today. Thank the organizer. Grear level of play! Great organizing the event and 5-1 play. Great bunch of volleyball players! 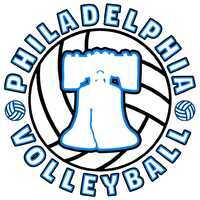 Awesome to finally meet the Philly Volleyball community! Your ideas drive us everyday!!! Great level of play! People are nice! The Ladies were the stars of the show. Very impressive play. Fun and competitive games all around. Great level of play. Keep up good work ! The host was late, and has a passive aggressive attitude, and he has an unhealthy obsession with specialty burgers. The event was good though. Great level of play! The host is always responsive to queries and very accomodating. No one really showed up. Only 8 total, the guy who was in charge was passive aggressive. I'm looking to play indoor volleyball with others. I'm looking to play volleyball with other players. I played Varsity in high school and intramural in college. Currently involved in different leagues (PSL and ISC), and these teams ate looking to play indoor volleyball with others. I'm looking to play indoor volleyball with others. Played for my high school team for 3 years.